Serena Perry was a patient in the psychiatric unit at the Saint John Regional Hospital when she was found dead in February 2012. SAINT JOHN, N.B. 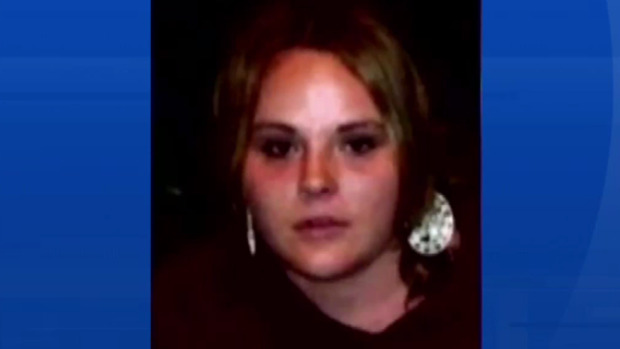 -- A psychiatrist who treated Serena Perry told a coroner's inquest into her death Wednesday that the young woman was repeatedly admitted to hospital after failing to take medication to deal with her paranoid schizophrenia. Dr. Vinod Joshi said he had been dealing with Perry from 2009 until about a month before her death and described her as religious and enthusiastic about life. "She would never talk about suicide," he said. "Towards the end she was saying that God had cured her." Another psychiatrist, Dr. Pamela Forsythe, had treated Perry from 2010 to the day of her death and described her as a "challenging" patient. But Forsythe said Perry was doing well the morning of Feb. 14, 2012, and Forsythe gave her a day pass to go home with her family. Forsythe said she was stunned when hospital staff called her that night to say that Perry was dead. She said there were huge issues with the young woman, but killing herself was never any concern. Perry, 22, of Hampton, N.B., was found unresponsive in the amphitheatre of the Saint John Regional Hospital. Police have said a forensic pathology exam couldn't confirm the cause of her death. Joshi said Perry did well when she was on medication in hospital and would often talk about getting more education and a job. But within days of being released from hospital, he said she would often stop taking her medication and sometimes smoke marijuana. Many mental health patients refuse to take their medication once they are released from hospital, Joshi said. Other provinces have community treatment orders that can force a mental health patient who is not in hospital to continue their prescribed treatment, including medication, but no such orders exist in New Brunswick, he added. Outside the coroner's court, hospital lawyer John Barry said New Brunswick and the Northwest Territories are the only two jurisdictions in the country without community treatment orders. On Monday, the inquest saw security video that showed Perry leave the psychiatric unit with another patient and head towards the hospital's amphitheatre on the first floor. There was no video to show either of them return. After nurses noticed she had not returned, they questioned a patient who said Perry had been "acting funny" and he left her in the amphitheatre. That's where the nurses found her, unresponsive and with a blue hospital housecoat wrapped loosely around her neck. They called a Code Blue, an alert indicating there is a patient in need of immediate resuscitation. Dr. Paul Atkinson testified Wednesday that he was in the emergency department when he heard the Code Blue and ran to the amphitheatre. Atkinson said CPR was already being performed when he arrived. Perry was hooked up to a heart monitor around 11:15 p.m. and Atkinson said he thought there may have been some slight heart activity, so they shocked her, but without success. "We were doing all we could at that point," Atkinson said. Despite continued CPR, he said the heart monitor had a flat line and the decision was made to stop resuscitation. Perry was declared dead at 11:23 p.m.
Atkinson told the jury he saw no injuries on Perry and couldn't see any place where she could have fallen or been hanged. A suspect was arrested in connection with Perry's death, but no charges were laid. Forsythe told the inquest Wednesday that two male patients, who had been with Perry on the evening of her death, were questioned by police and later returned to the psychiatric unit.